I don’t share that many invites, since I rarely play anywhere, usually just local parties in Brno. 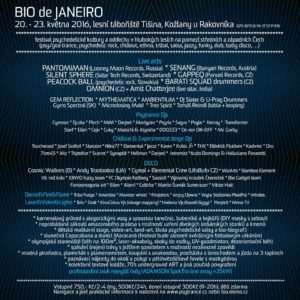 However Bio is a party that deserves an invitation, since it’s been the best Czech openair party for years, and even people who don’t frequent psytrance parties at all love and visit this one. So come join us – 20th May is nearing. 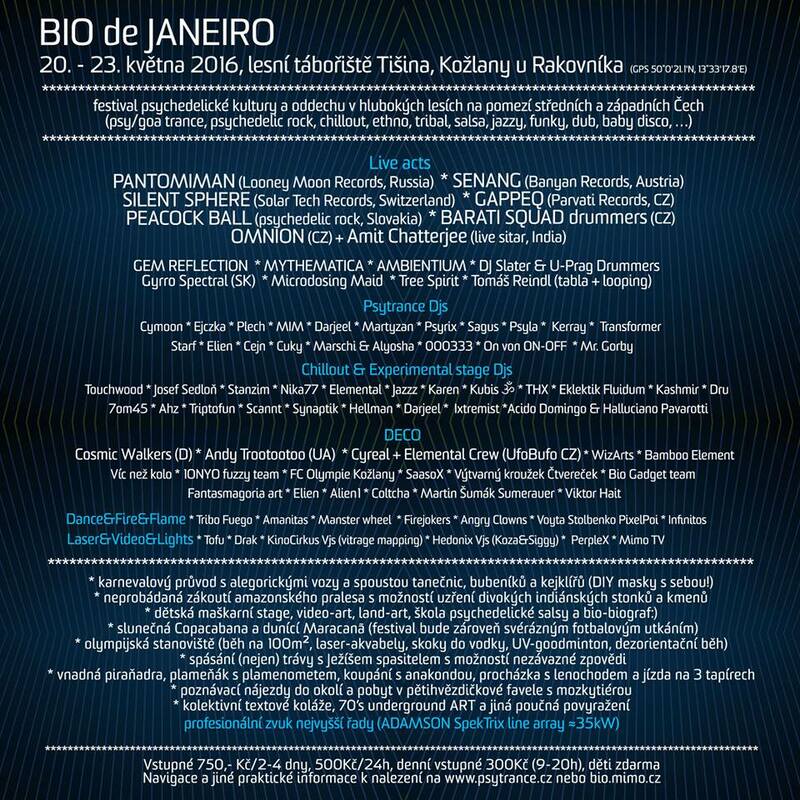 This year it will be Bio de Janeiro – there’s more English info on goabase.